Are you a backpacker or a savvy budget traveler looking for the best hostels in Dubrovnik? There are a lot of Dubrovnik hostels that all want your money, but only a few of them are worth it. We’re here to help you find the right Dubrovnik hostel to make your visit here truly special. Located in the southern tip of beautiful Croatia, the small fortified city of Dubrovnik with its red-tiled roofs and easy access to the Adriatic Sea is one of the most popular tourist attractions in the entire country. That means Dubrovnik gets very crowded and VERY expensive in the summer season. 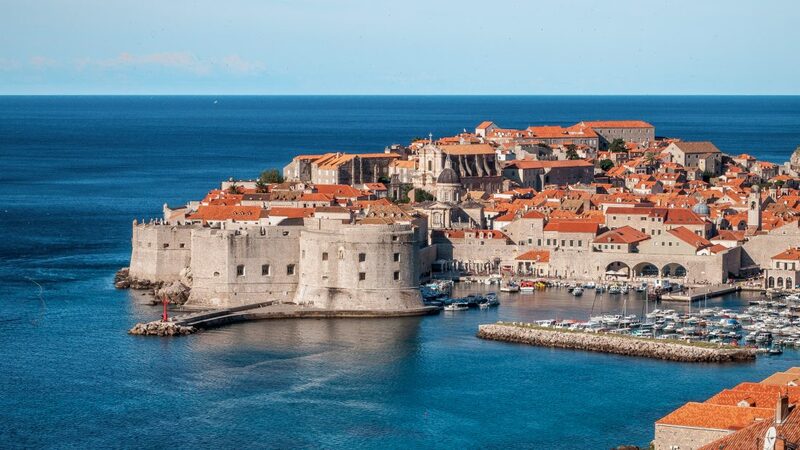 Although Dubrovnik has been made even more famous in recent years thanks to die-hard Game of Thrones fans aiming to visit King’s Landing, the city’s charm will lure you in you even if you’re not familiar with the popular HBO TV show. Whatever your interests, there are many things to do in Dubrovnik, from exploring the city walls and swimming in crystal-clear waters to sampling some fine wine or even going sea kayaking. If you, like George Bernard Shaw, think that “those who seek paradise on Earth should come to Dubrovnik”, then by now you’ve probably already bought your plane tickets. However you must know that thanks to its popularity traveling Dubrovnik on a budget might seem a bit challenging at first. Luckily, there are a good deal of budget-friendly Dubrovnik hostels ranging from rooms with peaceful locations and fabulous views over the Adriatic Sea, to vibrant places with a colorful nightlife and a central location. Be warned though, even hostels beds can be expensive during Dubrovnik’s high tourism season, which starts in May and ends in September. 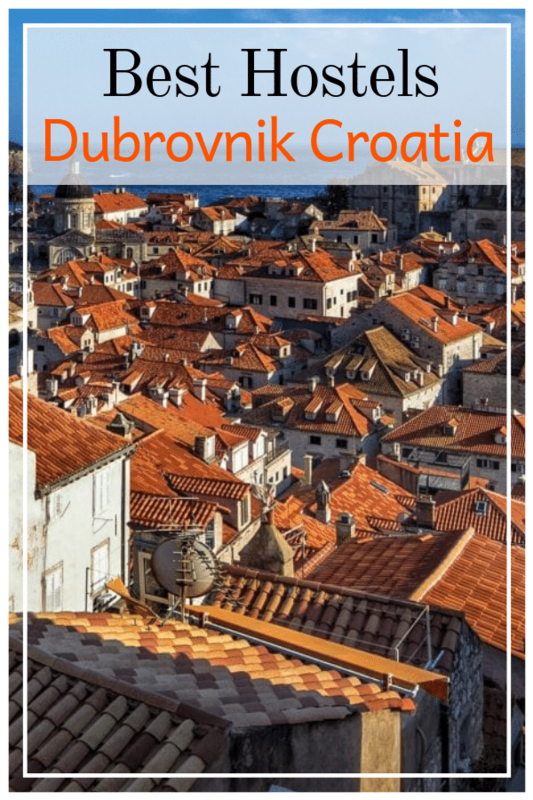 Wouldn’t you know it, we have a list of great hostels in Dubrovnik right here! We have put together this list based on what we personally expect out of a great Dubrovnik hostel. Clean rooms, comfortable dorm beds with power outlets, secure luggage storage, friendly atmosphere that encourages interaction (but doesn’t force it), and a communal kitchen are all super important aspects in our eyes, and we prioritize them when suggesting a place to stay. 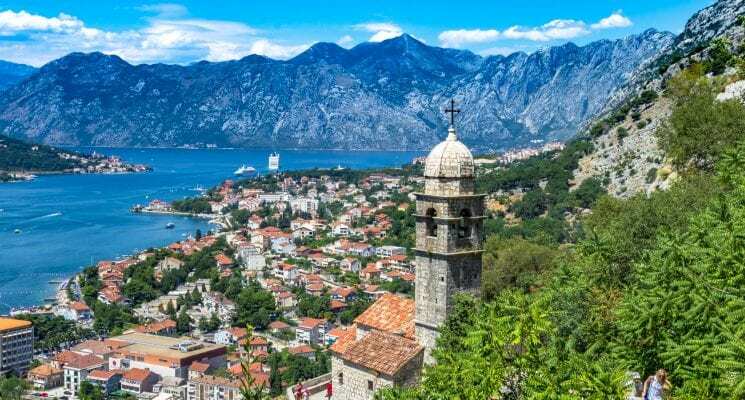 We’ve done the research and gathered some of the best hostels in Dubrovnik so you’ll have a clear overview of what the Pearl of the Adriatic has to offer. 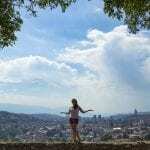 Below you’ll find our top Dubrovnik hostels choices for visiting on a budget. If you’re in search of welcoming and quiet lodging not too far away from Dubrovnik’s Old Town, the small and cozy Hostel Euroadria will make you feel right at home. With a newly-renovated modern interior offering generous-sized rooms, clean washrooms, a nice common area and large storage lockers to store your valuables, Euroadria is definitely one of the best hostels Dubrovnik. Just have a look at the picture above. Personal charging stations, personal lights, air-conditioning (trust us, you NEED that in Dubrovnik in the summer!) and thick mattresses. Pretty much everything you could ask for to make your dorm room experience comfortable. Beach lovers will surely appreciate this Dubrovnik hostel’s proximity to some of the finest beaches in the area. If you prefer to stay in shape during your travels, take advantage of the open-air gym located in the lush Green Park, adjacent to the hostel. The ferry port is also merely a stone’s throw away, ideal if you want to do a bit of island hopping. The Old City walls are just a 10-minute bus ride away, and luckily for you, the station is situated right outside this Dubrovnik hostel. Hostel Euroadria also gives you the opportunity to enjoy a sumptuous breakfast on-site at an extra cost, prepped from the freshest ingredients the nearby market has to offer. Get more info, independent reviews, or details on current prices here. Backpackers and budget travelers looking for an Old Town Dubrovnik hostel and a lively community atmosphere will definitely appreciate Hostel Angelina. Located in a 400 year-old building between the Old City Walls, this accommodation site offers an excellent base for an authentic Dubrovnik experience. 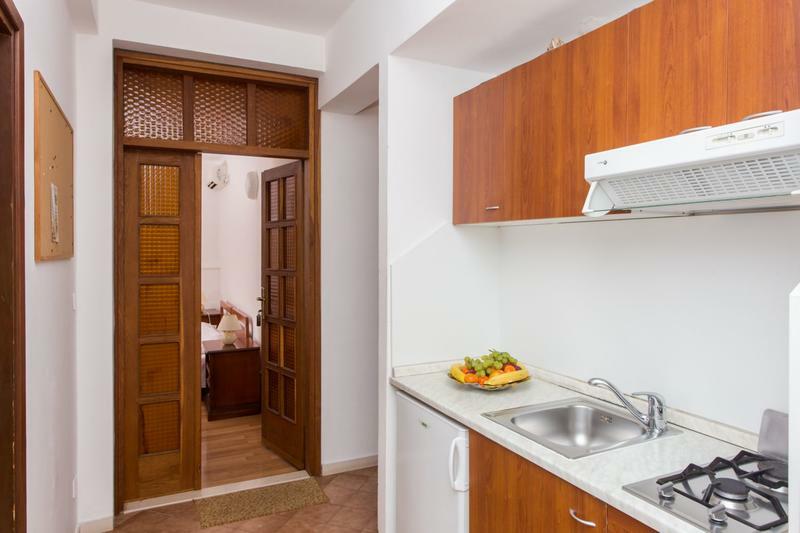 The cozy, air-conditioned rooms with comfortable beds, the fully-equipped kitchen, and the safety lockers all contribute to an enjoyable stay in the heart of the city. As seen in the picture above beds all come with lights and power-outlets, which are pretty much a necessity for all great hostels. Offering daily social activities for guests like wine nights, sunset tours, board game nights and day trips, it’s easy to see why Hostel Angelina is considered to be one of the best hostels in Dubrovnik. This Dubrovnik hostels has some cool views, but they can only be accessed by climbing a lot of stairs, so it might not be the perfect choice for those with mobility problems. If you’re on a tight budget and are looking for a central housing option, Hostel Angelina should certainly be on your list of the best hostels in Dubrovnik. If you’re in search of a homey hostel with a family-friendly atmosphere, the Dubrovnik Backpackers Club is the place for you. Situated on a steep hill boasting excellent sea views and proximity to awesome beaches, the lodging can be found on the stunning Lapad Peninsula. Despite not being located between city walls, it’s merely a 15-minute bus ride away from the center. Insider tip: instead of purchasing multiple one-way tickets, choose a day pass for a more cost-effective way to get around Dubrovnik. 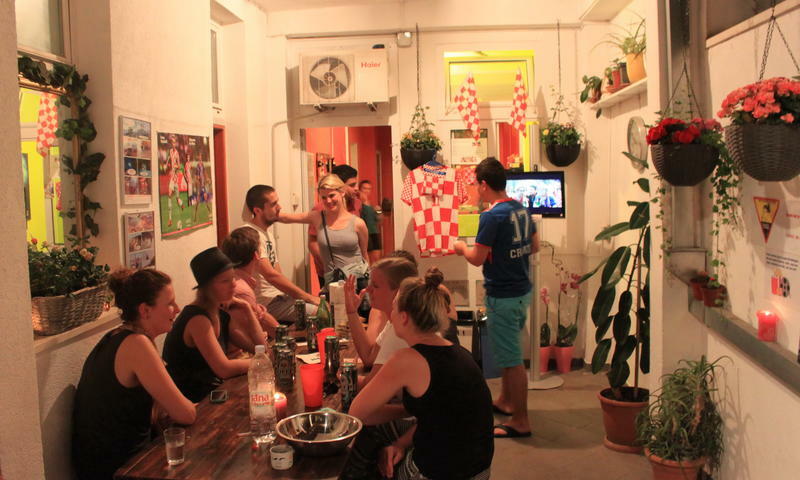 From the first moment you step into this Dubrovnik hostels you’ll immediately feel like you’re part of the family. Enjoy a home-cooked breakfast every day at an extra cost, prepared by the mother of the family. For a more in-depth tour of the city, make sure you hire the head of the family who will take you to the most underrated parts of the city and let you in on rich historical insights. 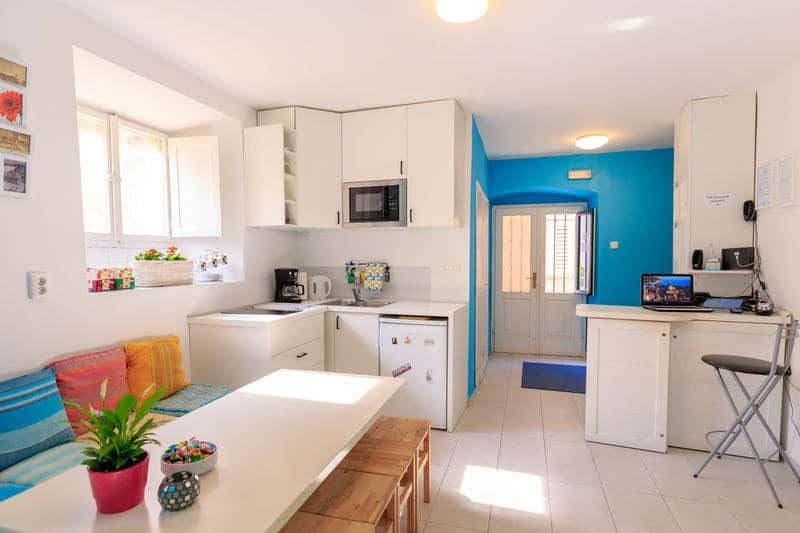 Save a few bucks by prepping your own meals in the fully-equipped kitchen of this Dubrovnik hostels. Take a break from sightseeing by chillin’ in the movie room or getting to know other travelers in the generously-sized common area. If you arrive by car, motorcycle or bicycle, enjoy the perks of free on-site private parking. With so many awesome amenities and such cozy vibes, it shouldn’t come as a surprise that travelers have voted it one of the best hostels in Dubrovnik. For a more central location, it doesn’t get better than the City Walls Hostel Dubrovnik. Although this Old Town Dubrovnik hostel is located within the tourist heavy city walls, it’s actually part of the residential area, offering a peaceful stay away from the hustle and bustle. Accommodate yourself in the spacious 4- or 6-bedroom mixed dorms, offering comfortable mattresses along with plugs and lights beside each bed. 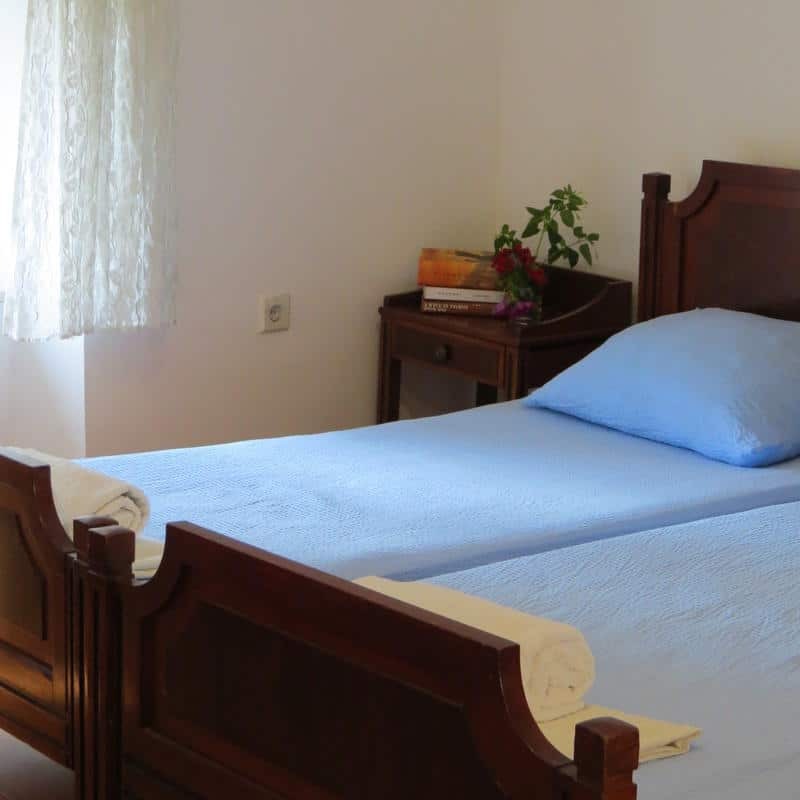 On request, private double rooms can be arranged in the neighboring buildings of this Dubrovnik hostel. The welcoming staff will provide you with a complementary cereal breakfast accompanied by coffee or tea, included in the price of your stay. Make sure to turn to them if need any recommendations for your day of sightseeing or want to arrange thematic tours, they are always happy to help. Boasting easy access to restaurants, shops and nightlife, a budget-friendly central stay and a vivid community atmosphere, this is definitely one of the best hostels in Dubrovnik for all types of travelers. Note that in order to get to this Dubrovnik hostel, you’ll need to climb a set of steep stairs, so be mindful about the size of your luggage. If you’re eager to immerse yourself in a great, vibrant community spirit during your stay, then Hostel Petra Marina will surely not disappoint. Offering a charming indoor communal area which leads you right to the gorgeous balcony overlooking the Old Town, this is definitely one of the best hostels in Dubrovnik. It’s one of the ideal places where you can mingle with others and get to know travelers from all over the world. 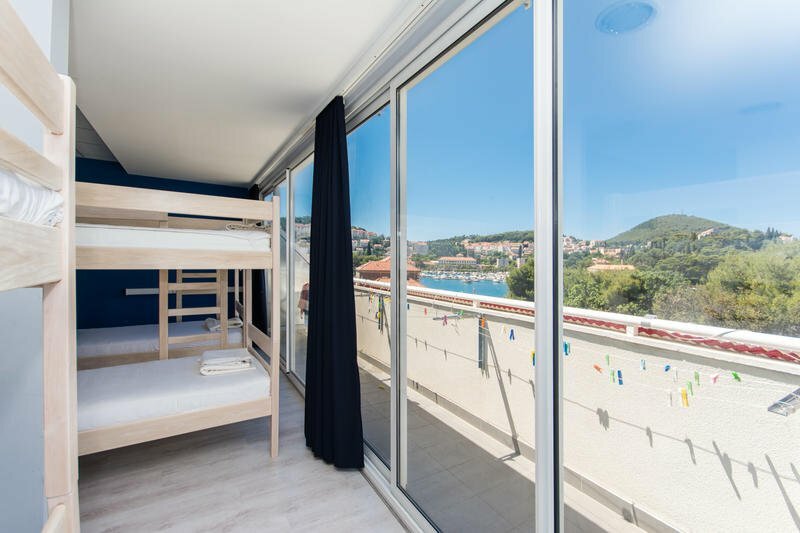 The rooms at this Dubrovnik hostel are immaculate and welcoming, boasting simple yet comfortable bunk beds, colorful walls and floor-to-ceiling windows to enjoy a nice view of the city. Although the hostel is not located in the Old Town, you can get there in a matter of minutes by taking the bus. The station is just outside, so you’ll have easy access to the major public transportation routes. A wide range of shops, restaurants and bars can also be found in the proximity of the accommodation site. Whether you’re looking for a quiet place to stay in the periphery of the city or a central lodging with a lively atmosphere, Dubrovnik’s wide selection of hostels will definitely have something that will satisfy your expectations and spare your wallet. If you’ve had enough of touristy accommodations, you’ll definitely appreciate the homely vibes of Hostel Lina, making you feel as if you’re living among locals. Which you basically are. And that’s all sorts of cool. 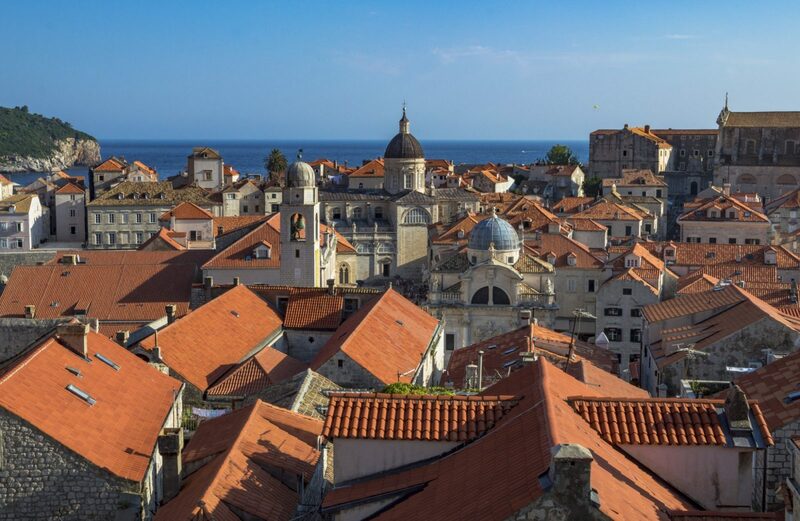 Situated high atop a hill in the periphery of the city, the family-run Dubrovnik hostel offers fantastic patio views overlooking the red-tiled roofs and the calm Adriatic Sea. 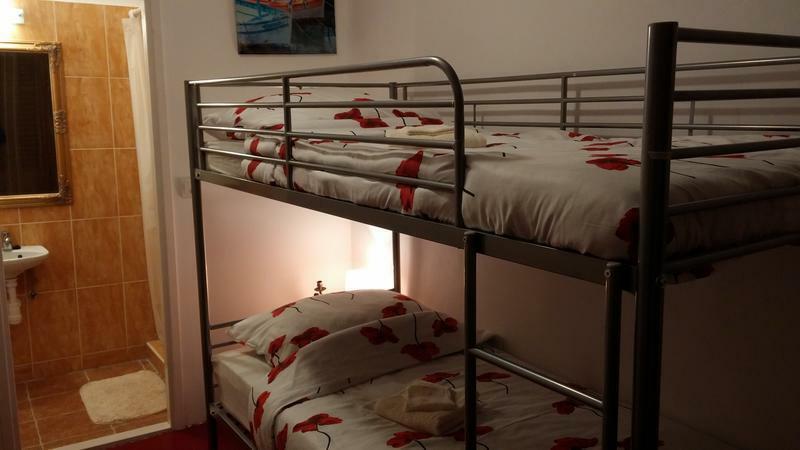 As one of the best hostels in Dubrovnik (unless you are looking to party, that is), it boasts immaculate and well-furnished rooms with both bunk beds and single beds, along with very clean bathrooms and a small kitchen with the most important necessities. The friendly and welcoming hosts are always eager to share their vast knowledge about their best tips and tricks of visiting the city in a budget-friendly manner. This Dubrovnik hostel’s proximity to grocery stores and restaurants is an added bonus. Hostel Lina IS located outside of the Old Town, which is about half a hour walk away. You won’t be in the thick of it, but if you are looking for a low key experience in Dubrovnik, this place is a good bet. The lodging is not suitable for elderly and disabled people due to the many steps that need to be climbed in order to reach the hostel. However, the accommodation site does welcome children, so you can actually plan your family stay here, on an affordable budget. Fully immerse yourself in an authentic Dubrovnik experience and accommodate yourself at Hostel Villa Garden, merely a 5-minute walk away from the hustle and bustle of the Old Town life. 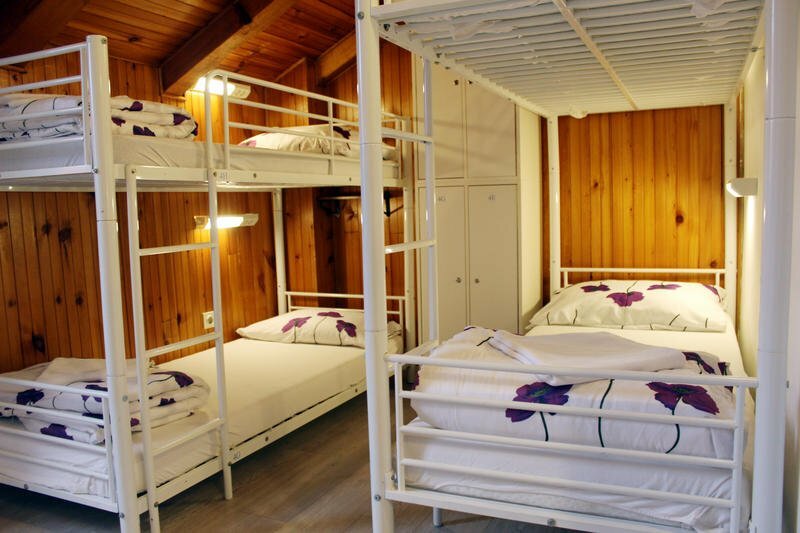 If you’re looking for a break from the old-fashioned bunk beds, you’ll certainly appreciate the single beds of this Dubrovnik hostel. All rooms come equipped with air-conditioning and a fridge to keep your booze at ideal temperature during hot summer days. If you’d like to enjoy the comfort of a private room, you’ll be treated to your very own en-suite, fully-equipped kitchen and bathroom. A nice selection of cafes, restaurants, bars and grocery stores can be found in the vicinity of the hostel. The lodging is also merely a few minutes away from some of the best beaches in Dubrovnik, including the vibrant and beautiful Banje Beach. It’s worth noting that payment in cash is required upon arrival. Airport pick-up and private transfer can be arranged for the additional cost of 30 euros. It’s also worth noting that the best ting about this Dubrovnik hostel is the location and the price. It’s definitely not the cleanest or most comfortable hostel in Dubrovnik. The newly-renovated King’s Landing Hostel can be found in a charming, restored 15th century building. This lodging was inspired by the hit show Game of Thrones, names after the capital of Westeros. The show’s influence is not only in its name, but also in the Lannister Lion door knockers and the Targaryen Dragon door handles, among other show related easter eggs. It’s all a bit corny, but that’s part of the charm. This Dubrovnik hostel’s proximity to the Old Town’s North Gate, public parking, the cable car, a major bus stop, restaurants, shops and bars is definitely a huge advantage. Despite not having a communal area, the hostel’s good-sized rooms and impeccable washrooms will ensure a comfortable stay. If you really want to treat yourself, the deluxe room at the penthouse is the perfect choice. It boasts a private kitchen, an en-suite bathroom and killer views over the Old City having the fabulous Adriatic Sea as a backdrop. Boasting free lockers, a laundry service, a free breakfast, an enviable location and an affordable price, King’s Landing is probably one of the best hostels in Dubrovnik. While this isn’t one of the best party hostels in Dubrovnik, it is a perfectly suitable option for those traveling on a budget.